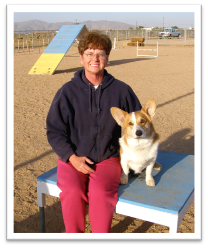 I began agility with my dogs in Northern California in 1995 with the help and encouragement of my first trainer, Myra Fourwinds. In 1996 I continued training back in Southern California with Pat Charlton. Over the years I have taken many training seminars with great instructors like Greg Derritt, Jo Fraser, Jim Basic, Elicia Calhoun and more. I’ve also attended several agility camps in my pursuit of new ideas and techniques for agility training. I believe that good instructors are always learning and, as students themselves, can help the handlers in their classes become better trainers. 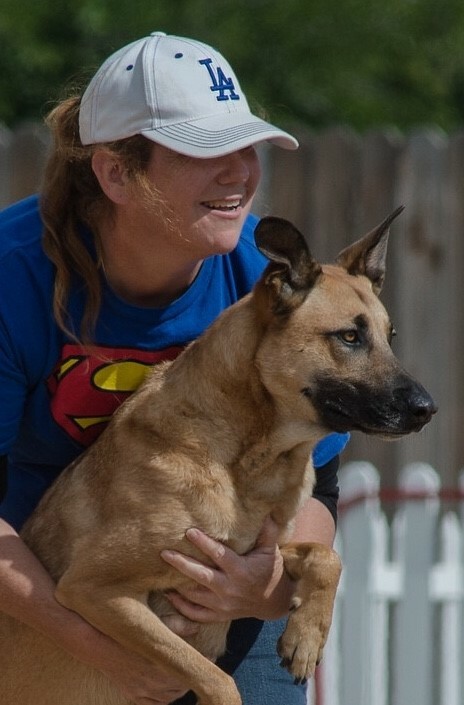 My first agility dog, Kala, an All-American had to retire early from her agility career but before she did she earned her Novice and Open titles in NADAC’s Regular and Jumpers classes. Kala also earned her Novice Gamblers title and needed one more leg for open Gamblers. Because Kala was my first agility dog, I made lots of mistakes in her training and yet she still wanted to play the game with me and hung in there while I figured out what I was doing wrong. Kala taught me patience! My second dog was another All-American named Jacob. He earned his Novice, Open, and Elite titles in NADAC and his USDAA MAD (Masters Agility Dog) title. Jacob was what we call a “Velcro dog” because he preferred to work very close to me, so it took us a little while to earn those Masters Gamble legs. Jacob taught me the importance of balancing skill training in agility since close work came easy for him; we had to spend more time practicing our distance skills. Because he preferred to work close to me, Jake found games like Snookers fun and easy and he earned 14 Masters Snooker Q’s! Jake was an awesome dog who, without agility, would have gone insane with energy. Training him taught me so many things including the importance of play! 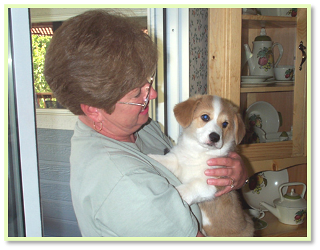 Over the years I have trained and competed with many different breeds and personalities of dogs from Papillons to Rottweilers. 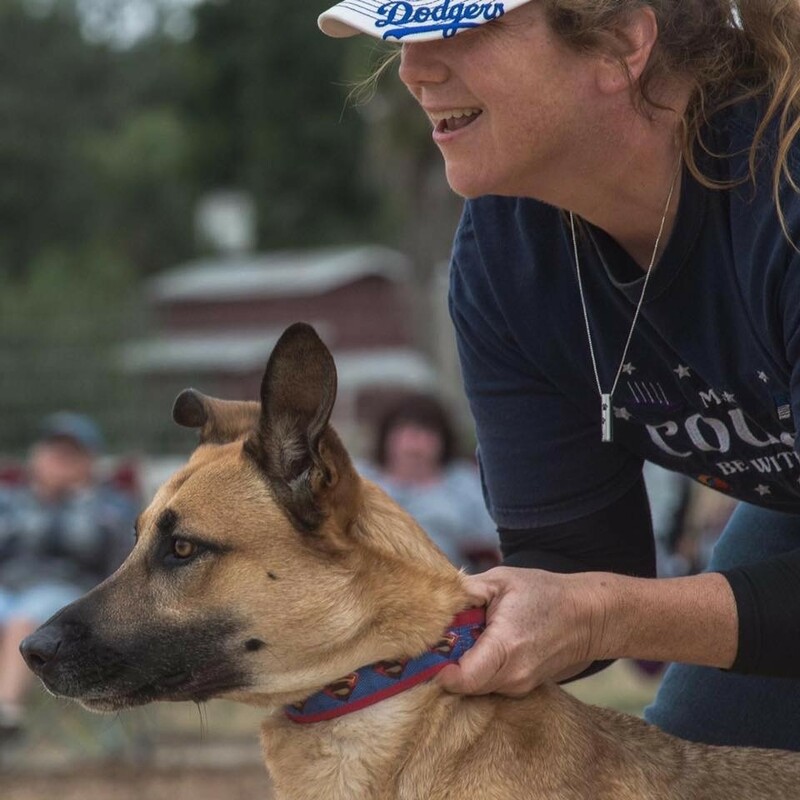 I am currently training my young Malinois/Whippet cross, Logan, for Agility and we’re cross training and/or competing in Lure Coursing, Barn Hunt, Rally Obedience, Dock Diving, and Nose Work. There really is nothing else I’d rather be doing than playing and teaching with my dogs! My name is Debbie McGee and I am the beginning agility instructor. I’ve been participating in agility for six years. 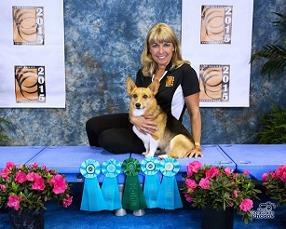 I started off with my Pembroke welsh corgi Bailie who I’ve been competing with in AKC for five years. She is a wonderful agility partner and we’ve been blessed to have gone to AKC Agility Nationals three years, where we’ve earned several ribbons. 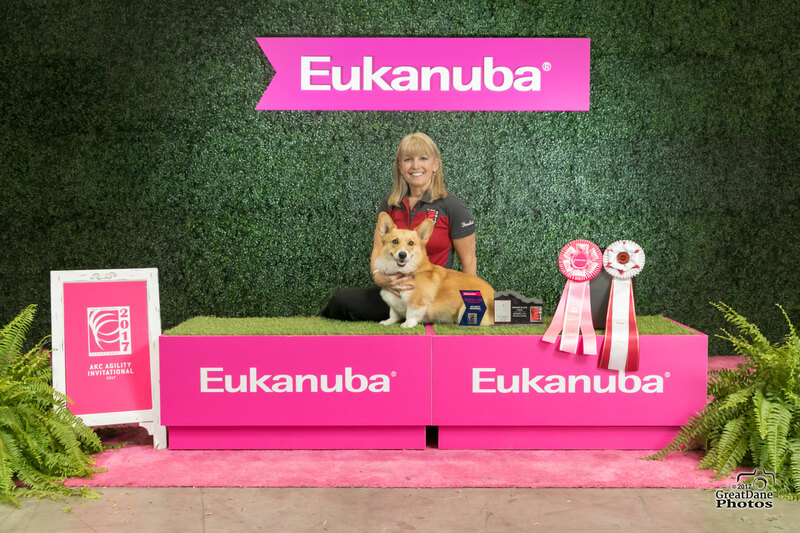 In December 2015, we competed at the AKC Invitational in Florida as the number one preferred corgi in the nation. Bailie and I finished in 8th place overall out of 127 dogs! Bailie has earned dozens of AKC Titles including MACH1 and PACH2. My young corgi, Zip, just turned three but has already competed at AKC Nationals, earning 1st place in ISC 8″ class and finishing in 15th place overall out of over 200 8″ dogs! Zip has earned MACH 2 and only needs 6 more QQ’s to get to MACH 3. He has been in the top 5 of all Pembroke welsh corgis competing in AKC agility this year and I’m hoping to go to Invitational with Zip in December. Zip and I also compete in USDAA where he has earned several titles and is qualified to run in Cynosport in Biathlon, Grand Prix, Speed Jumping, and Team. 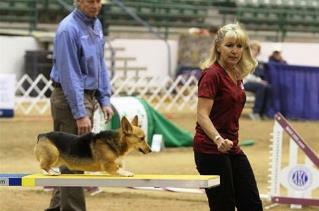 I’ve really enjoyed training and competing with my young corgi! I truly enjoy teaching beginning agility and seeing my students progress in learning the wonderful sport of agility. Several of my former students are now competing and are on their way to successfully earning agility titles! No matter if you want to compete or just have fun with your dog, agility has something to offer all ages of both handler and dog. 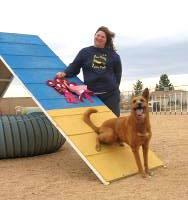 Sign up today and start having fun in the amazing dog sport of agility! 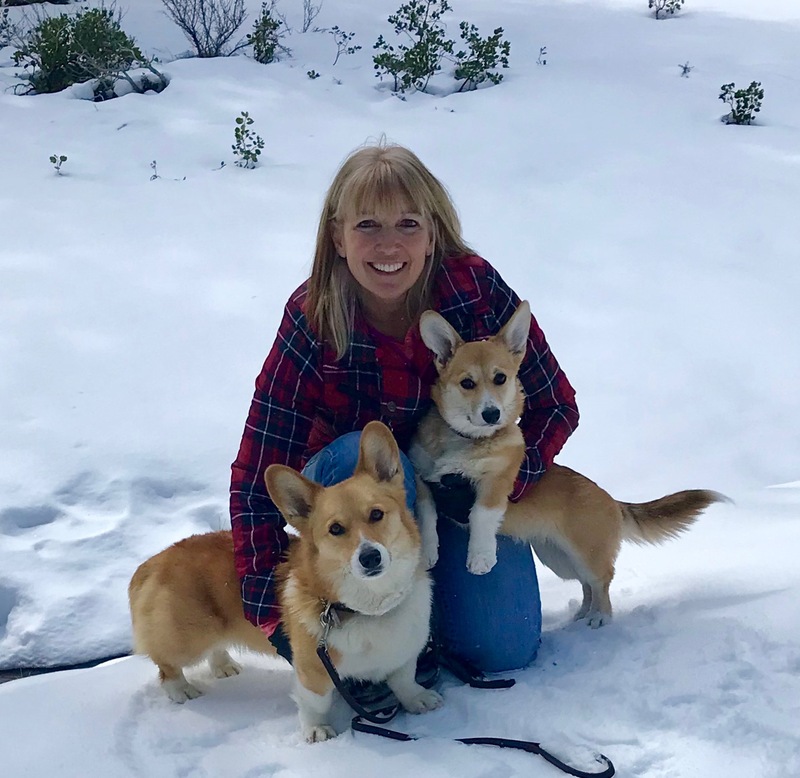 Hi, I’m Gail Kahles, the advisor to our agility program. I’m retired now, but I’ve been involved in dog sports since the late 60s. 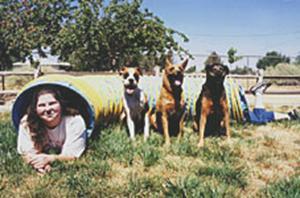 I was privileged to teach Beginner Agility for many years, and enjoyed competing with my dogs. At one time or another, I’ve taken all of PPDC’s classes, but my heart belongs to Beginner. I love nothing more than watching newbie handlers and dogs learn this fun game together while simultaneously strengthening the bond between them. Yes, agility can do that! Another terrific thing about Beginner is that a wide variety of dogs can take the class. Dogs as young as 3 months and as old as 14 years have been successful in Beginner. Dogs with mild impairments or disabilities can often take the class too, and dogs with fear issues or general lack of confidence can make significant progress as they learn that they’re in a safe environment and they can do it! Many Beginner teams go on to enroll in the higher level classes. Most dogs and humans absolutely love it! Some go on to formal competitions and achieve many titles. We even have some that have earned Agility Trial Championships! Other students aren’t at all interested in competition. They just want to have some informal fun. Agility classes are an excellent way to have a great time, bond more strongly with your dog, and meet wonderful people and dogs who just might end up being the best friends you’ve ever had! All these reasons are why I’ve always loved teaching Beginner. Agility is one of my very favorite dog sports. Come on out and give it a try. You’ll be glad you did!